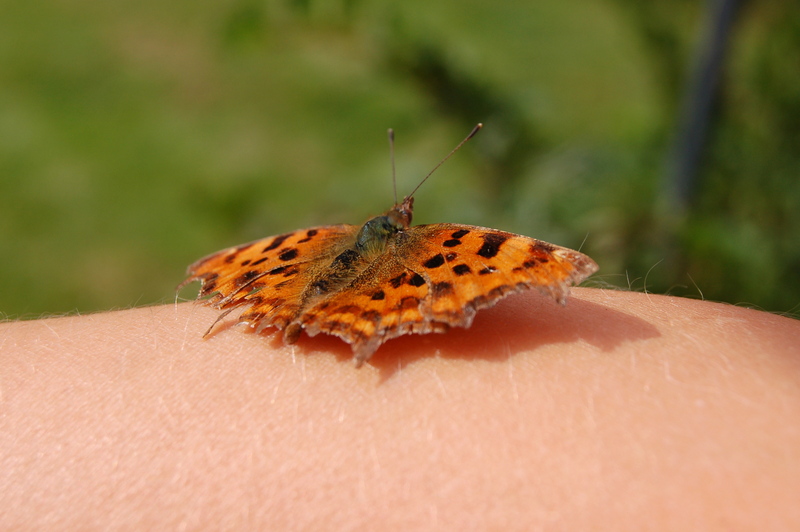 We’re nearly at the end of the school summer holidays and it feels to have flown by so far. 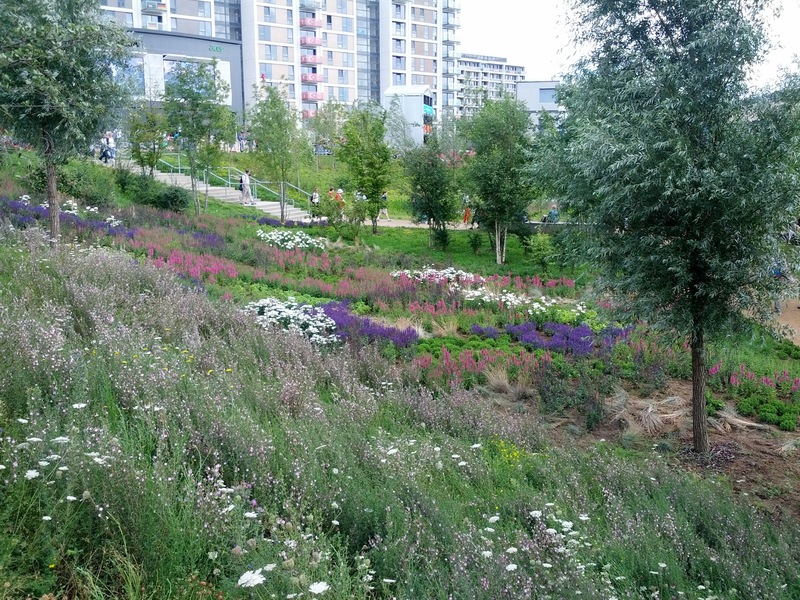 We were lucky enough to get tickets for the Olympics, and although the event itself was amazing, I was also very keen to get a good look at the wild flower meadows. 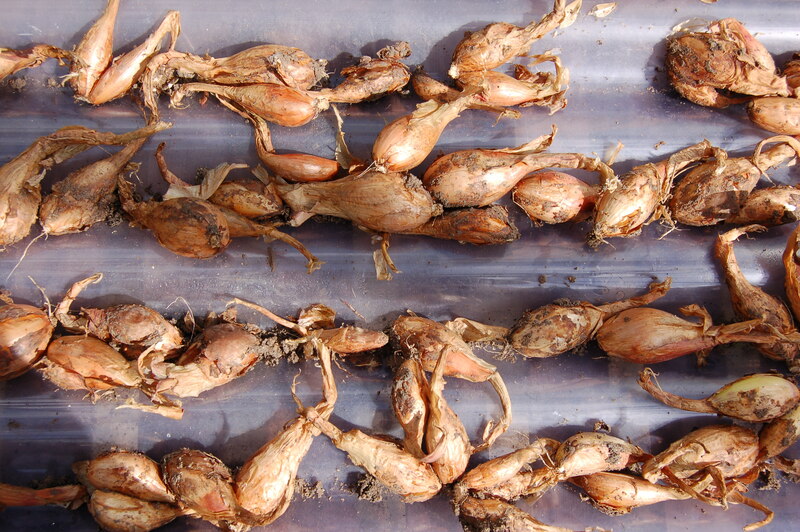 I was not disappointed, the flowers were stunning, especially the ‘gold’ beds as shown below. Crammed full of blooms and very inspiring, especially after the non event of my cutting beds this year, which have failed for the first time ever. 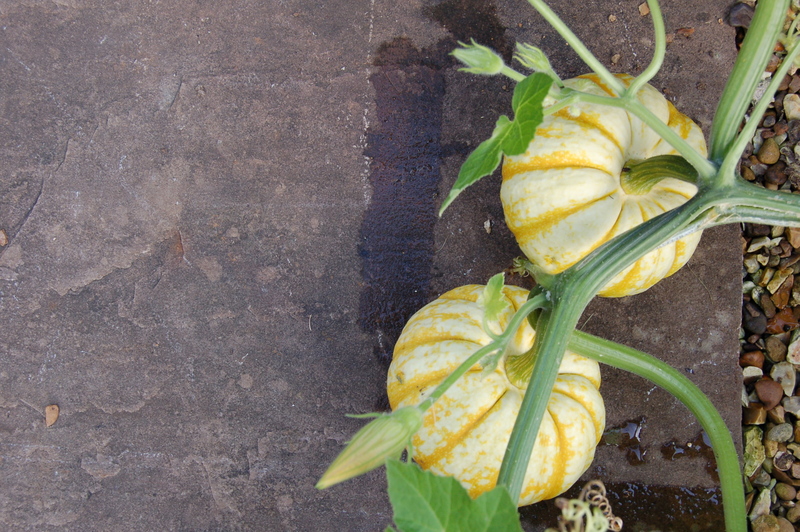 The weather hasn’t helped but the main problem was a rogue rabbit that was trapped in the vegetable garden which relentlessly munched the seedlings until I gave up. I still have some Cosmos and Zinnias that might flower before the weather turns but it’s getting a bit late in the year now. 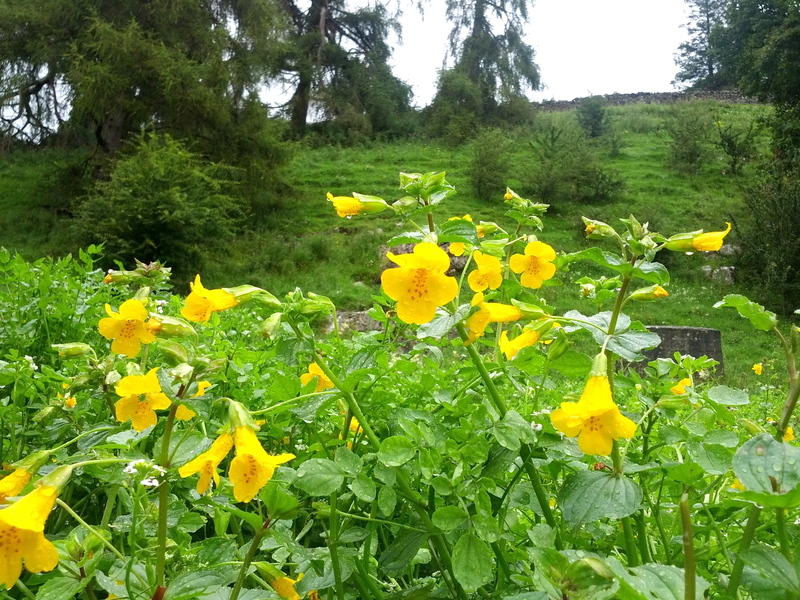 Following the Olympics we travelled ‘Up North’ to stay in my beloved Yorkshire Dales. For those who don’t know, this is where I am from and my family still have a working sheep farm, just inside the Yorkshire Dales National Park. 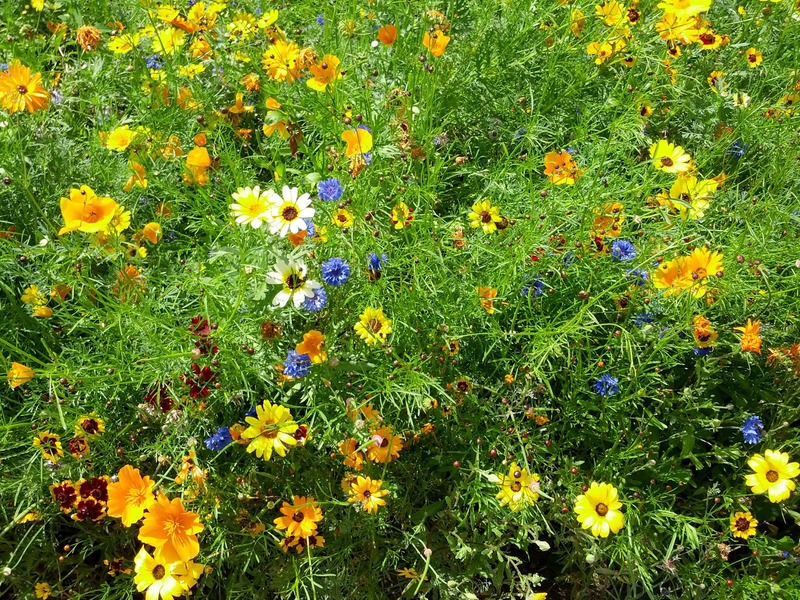 One of the things that I am always in awe of, when we visit, are the wild flowers. The Dales is sheep farming country, the landscape is lush and green and mostly involves fields surrounded by dry stone walls. 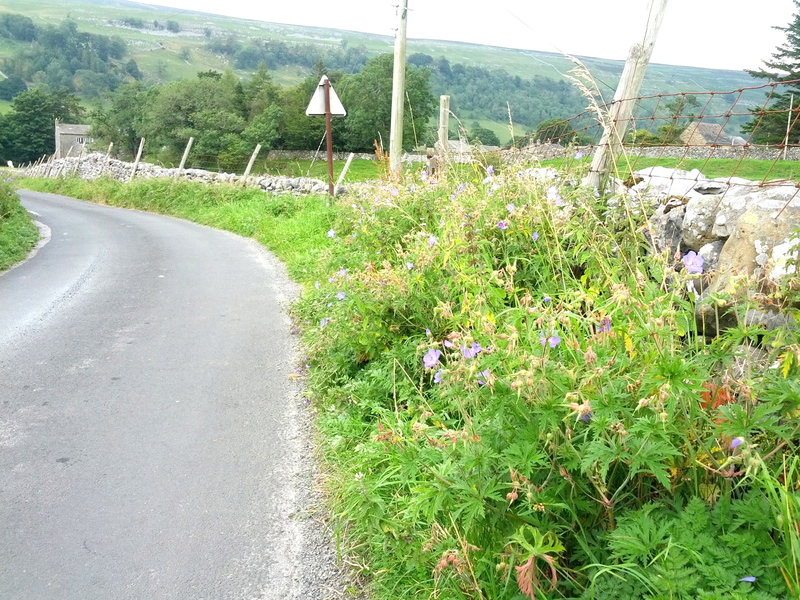 The roads are narrow, but quite busy (it’s very much a tourist destination and a cyclist’s haven), all along the sides there are banks of grass peppered with wild flowers. The range and mass of flowers is due to the lime-rich soils, I had hoped to take lots of photos, but often I only had my phone camera with me and the results aren’t worth posting, these are the best ones I managed to take, sadly. 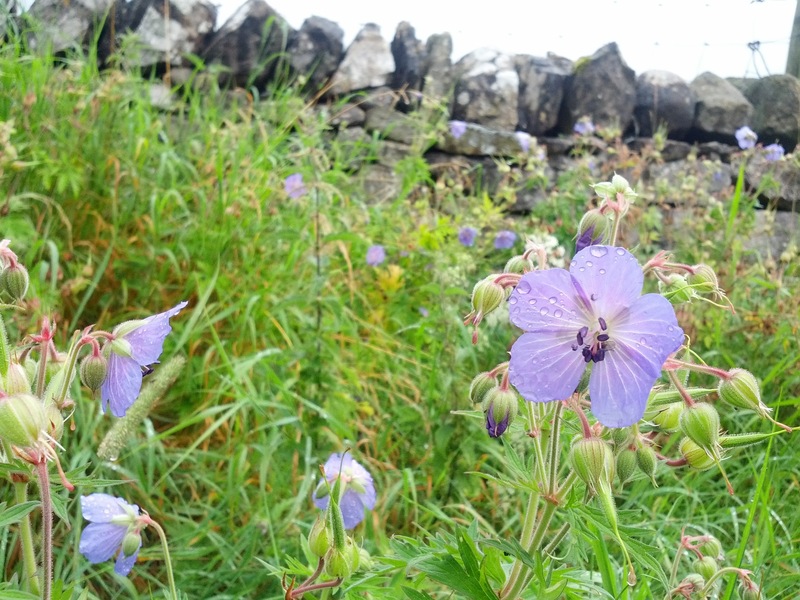 The geraniums above are my favourite, they appear everywhere, especially along the roads, along with willow herb and wild scabious. 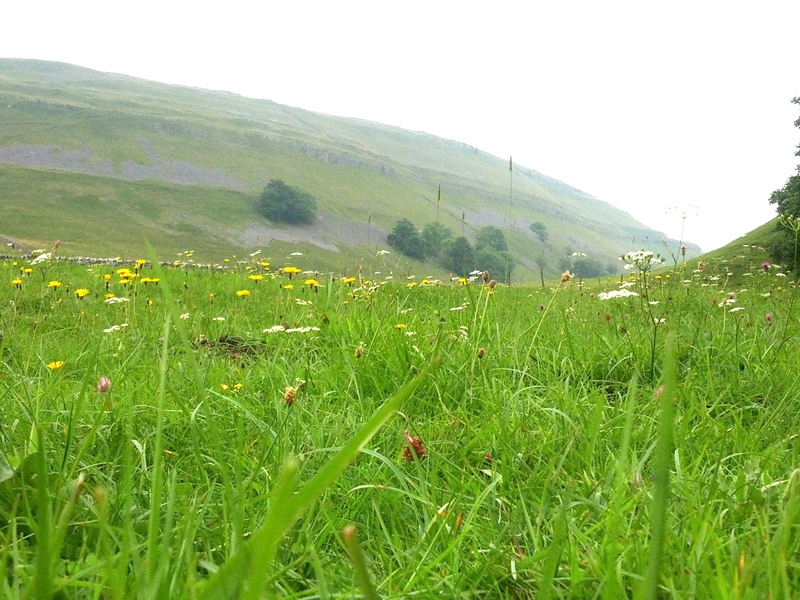 We spent a lot of time in Upper Wharfedale and Littondale, where a lot of farmers take part in a government scheme that involves leaving the meadows much later before cutting, so as to let the wild flowers re-seed. 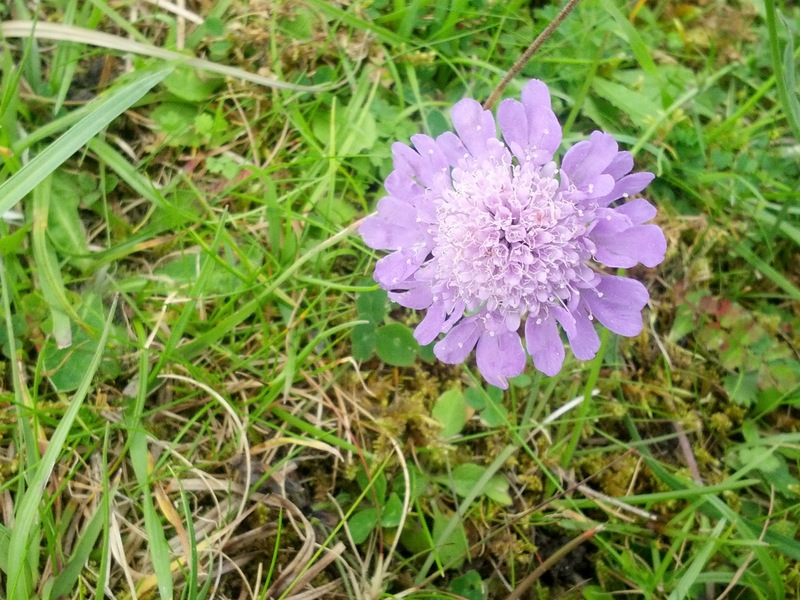 We were lucky with the weather in that generally all the meadow cutting was late, the earlier rain followed by the small pocket of sunshine meant that even the meadows not covered by the scheme were still in full bloom. 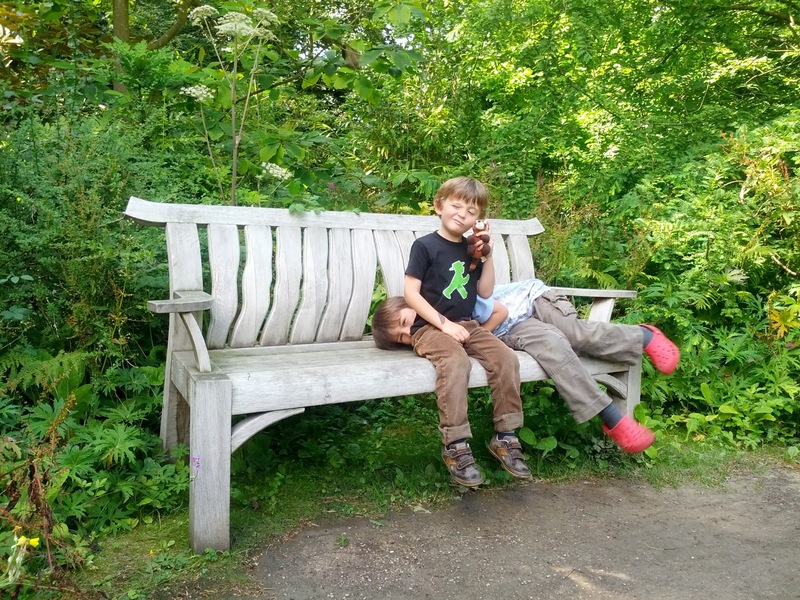 We had lots of days out that involved gardens. 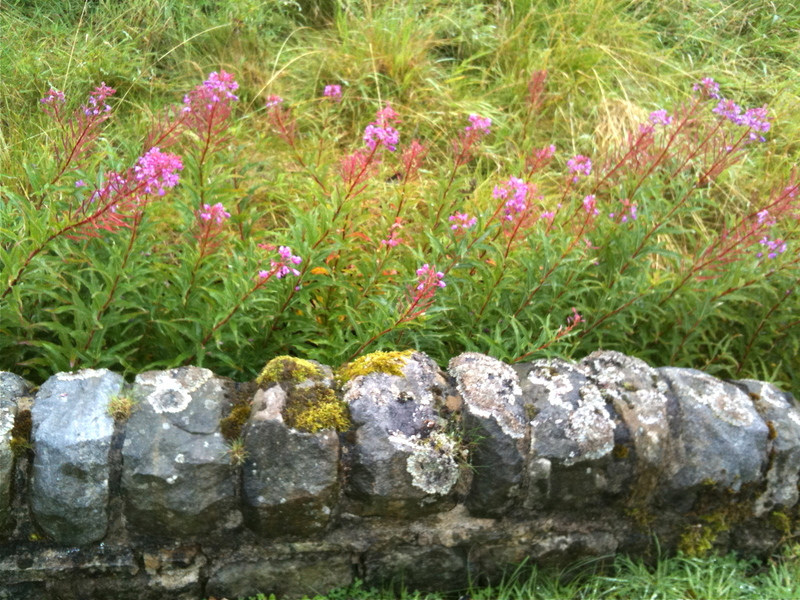 We visited the Forbidden Corner in Leyburn (sorry to those who read both my blogs, as you’re getting this all twice!) which is a folly garden, but still full of lovely flowers, I was happy to find us in Valley Gardens in Harrogate one day (really for the kids to go to the playground), although I couldn’t manage to persuade my lot to actually to go to Harlow Carr…one day it might happen. 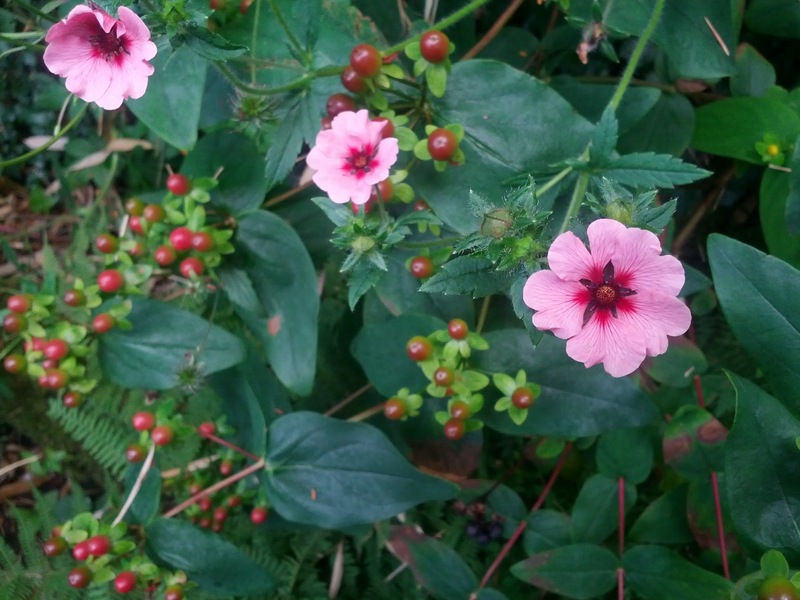 We also spent a pleasant day at Harewood House where a wander around the Himalayan Gardens had me falling in love with this Potentilla, prompting me to order some similar pink plants from Crocus. I did have a bit of a sulk after finding the walled vegetable gardens were closed for the afternoon for a play to take place in the grounds. I was rather looking forward to seeing them. Whilst home, I made a visit to Grove Rare Books in Bolton Abbey. We don’t often get to go as even though we drive past it daily, it’s difficult to park in the village. 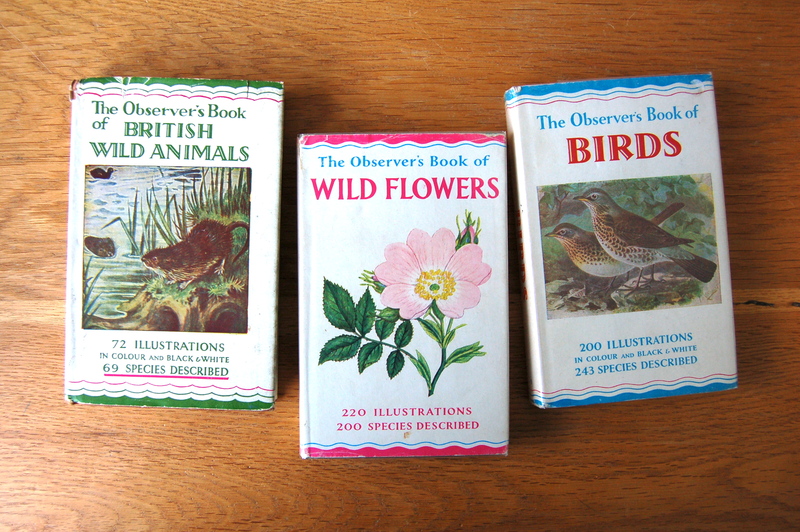 I managed to add to me ever expanding collection of old Observer Books which are a series of pocket guides to pretty much everything, some originally published over 60 years ago. 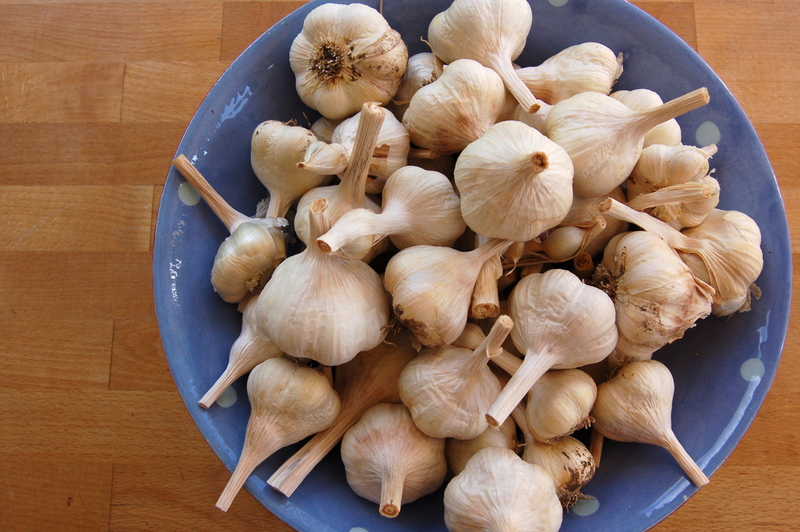 You can read more about them here, but don’t blame me if you also become addicted. I should stress now, I’m not a fanatic or anything, you wont find me lurking at the next Observers Book Society meeting (they have meetings – oh yes they do!) each to his own and all that. 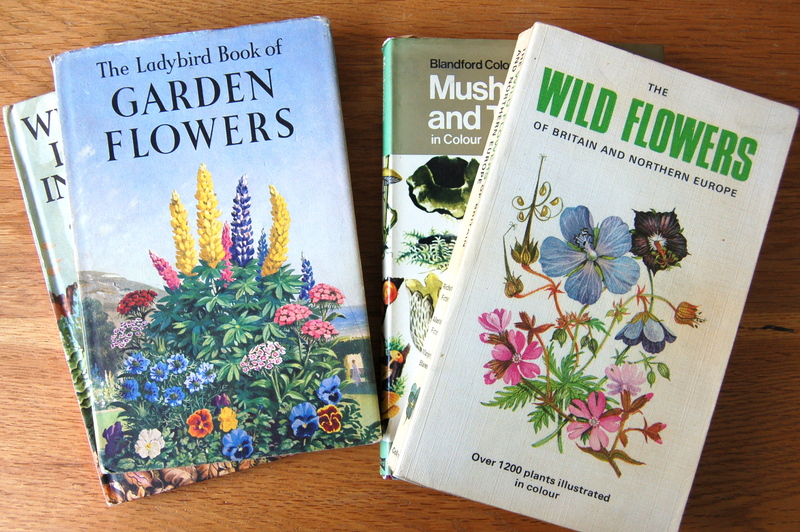 But I do have a bit of a ‘thing’ about collecting books from my childhood and ones on nature. 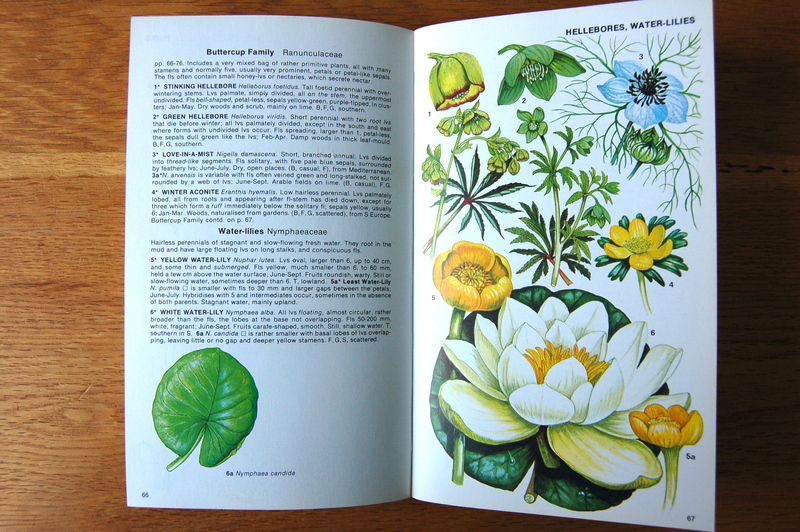 It’s often about the images, which inspire me in my work at The Linen Cat, but some are just great books. 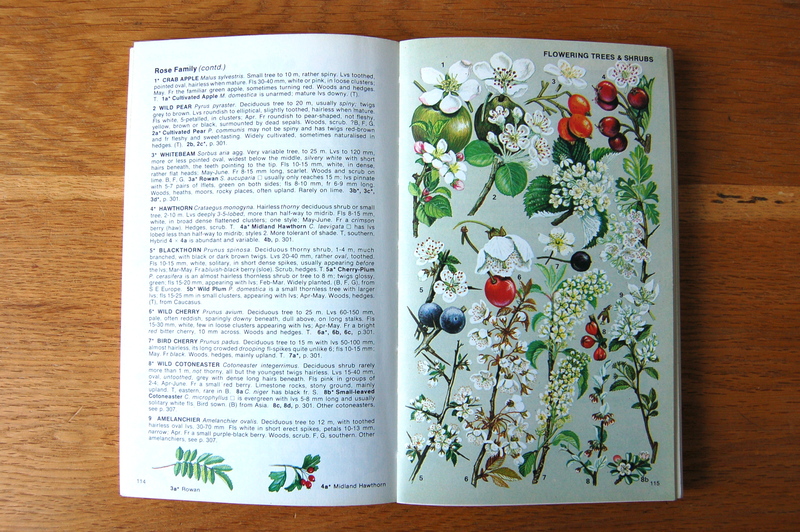 One of those being the ‘Wild Flowers of Britain and Northern Europe’, which is from the 1970’s and not only is it full of fabulous illustrations but it’s also really good for identifying flowers. The garden was a mess on our return from holiday. I think I’ve really dropped the ball this year, especially on the flower side. I think I am just bored. It’s time for a change and I feel freshly energised to do that so I’m planning on moving things around this Autumn and getting some new colours into the borders. It’ll be fun, I’m quite excited….just need to persuade M to allow a water feature next! 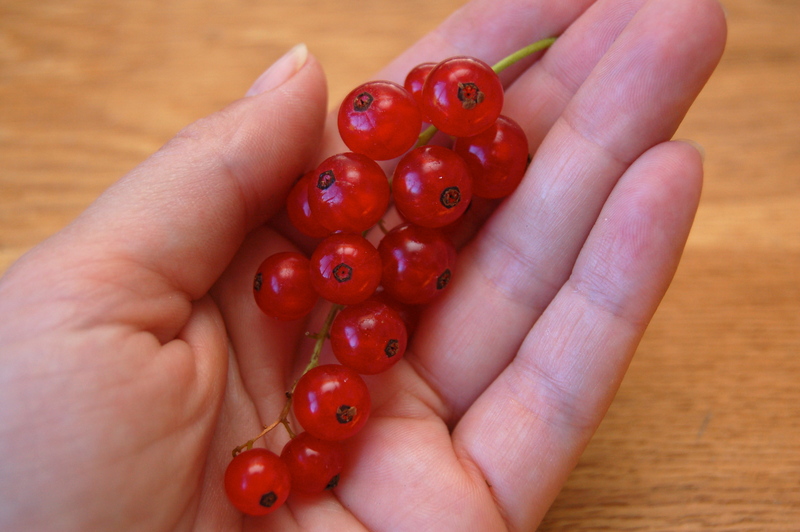 I know, I’ve totally dropped the ball on both the blog and the garden itself. School summer holidays are upon us, the Olympics are on, the weather can’t make its mind up and I feel distracted. Mornings looks like this. 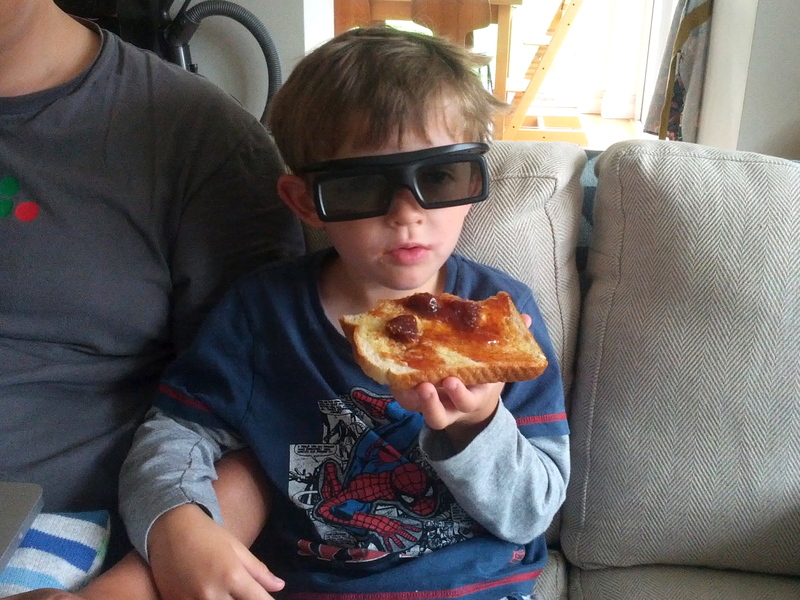 This is my youngest eating from the LAST JAR of homemade strawberry jam (his favourite) and watching 3D Olympics. Must make more jam before the strawberries are all gone. 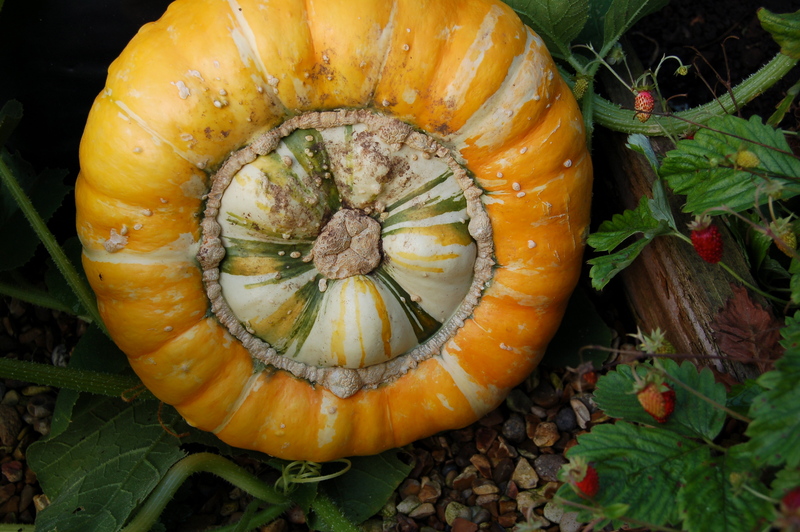 This turned up in the greenhouse – what is it!? 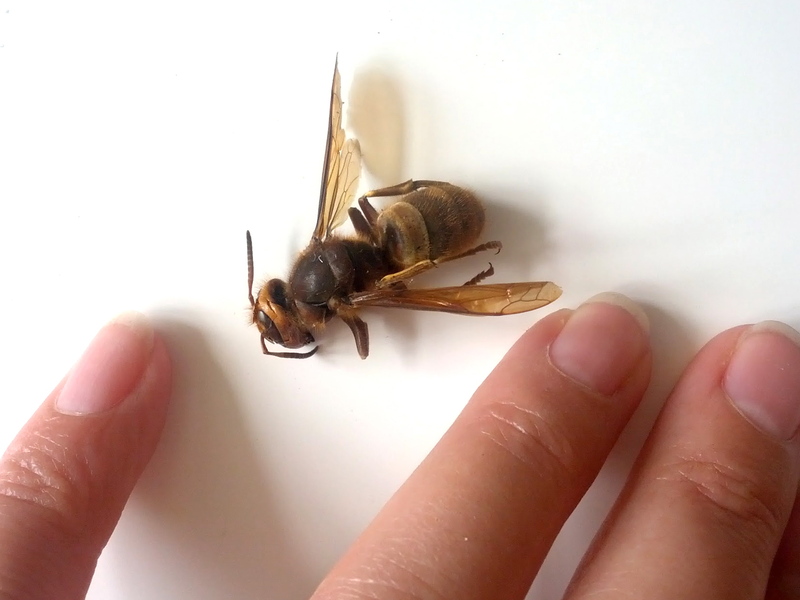 I’ve never seen anything so big….is it a Queen Bee, because it is nearly 4cm long, I don’t think you get the feel of its scale from the photo. 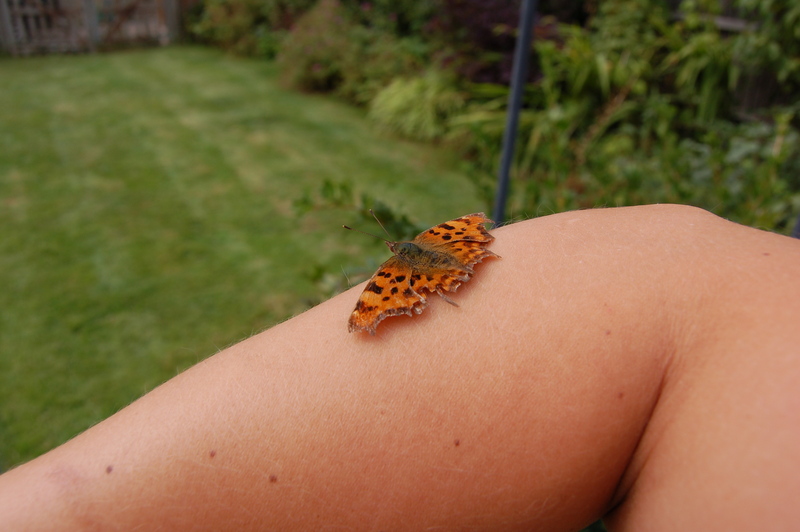 Thank goodness I didn’t come across it alive, that would have scared me!